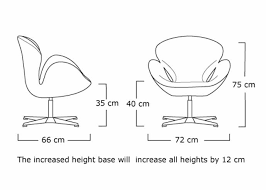 Swan chair designed by Arne Jacobsenwhich in 1958 is one of the most iconic pieces of furniture in history. Designed in Jacobsen’s garage, it was created from a moulded shell on an aluminium swivel base and upholstered in fabric or leather. It was technologically innovative for the time, as there were no straight lines. 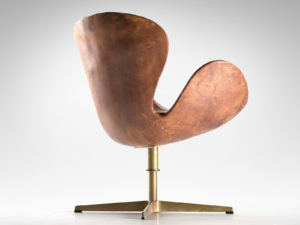 The Swan, which is made by the Republic of Fritz Hansen, has been in constant production since it was first designed. Such is the chair’s popularity that when the designer Paul Smith launched a new design, Point, he chose to cover a Swan chair with it. Fabrics aside, the design of the Swan has changed very little over the years and each one comes with a unique serial number to distinguish it from a copy. His furniture is among the most copied in the world. 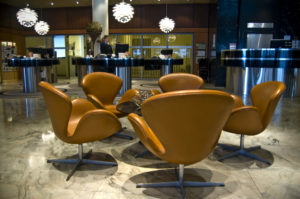 The Swan Chair was designed for the lobby and lounge areas at the Royal Hotel in Copenhagen, in 1958, along with the famous Egg chair. It’s hard to say when it made a leap into the residential market, but it’s always been a chair that seems to blur the line between contract and residential, making it a very versatile design with timeless qualities. Its sculptural qualities are likely what attracted homeowners. 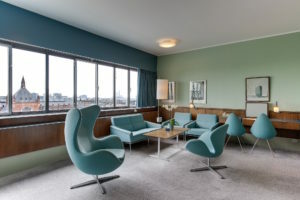 The hotel’s top floor featured its Panorama Salon; furnishings included Jacobsen’s Swan Chair, the AJ Royal Pendant Lamp, and the 330 Sofa series. 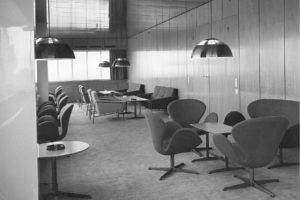 As one of the first chairs made from molded foam as part of “organic modernism”, the Swan made its mark in design history. The first Swan chairs were based on a wooden frame and then upholstered with springs, natural fibers, fabric etc. 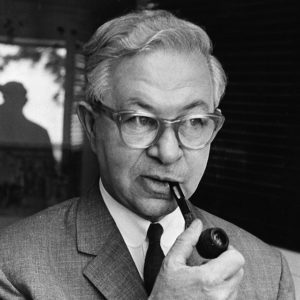 But Jacobsen, being a true modernist, was always embracing new technology and so the new manufacturing method of the Swan made a mark at the start of the modern furniture-making era. 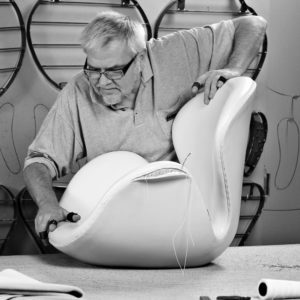 The process of making a Swan chair spans many days because the leather has to be wetted and dried to get the right shape for of the Swan shell. After that, many hours go into the upholstery process. The mold itself and base is done by machines, but all of the upholstery (cutting, gluing, stitching) and soft foam work (cutting and gluing) is done by hand. Founded in 1872 in Denmark, Fritz Hansen is one of the world’s most recognizable producers of iconic furniture for public and private spaces. The company’s history is characterized by meticulous craftsmanship, unique design, and a sense of understated elegance. Leading architects and furniture designers from all over the world have produced timeless furniture for the company’s collection, which embraces innovative techniques and new materials. Contributors include legendary designers such as Arne Jacobsen, Poul Kjaerholm, Bruno Mathsson, Piet Hein, and Piero Lissoni as well as young innovators like Kasper Salto, Jaime Hayon, and Todd Bracher. Today, Fritz Hansen furniture is embraced by a range of global consumers from city dwellers to business executives who celebrate the company’s ability to enlighten and delight with design. 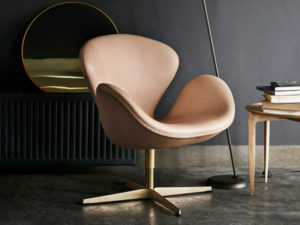 Fritz Hansen products can be seen around the world in residences and high-profile corporations, luxury hotels and art centers including the famed SAS Royal Hotel in Copenhagen and the Museum of Modern Art (MoMA) in New York. Materials: Fiberglass-reinforced, polyurethane foam shell; satin-chromed steel swivel; injection-molded aluminum base; fabric or leather upholstery.